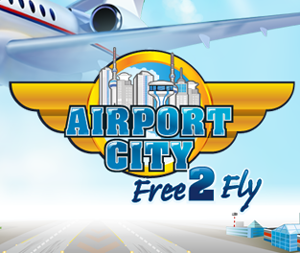 Do you Play Airport City: Free to Fly? Join GameHunters.Club our members share free bonus, tips, guides & valid cheats or tricks if found working. Check out the Airport City: Free to Fly Bonus page to see the full list. If you need to add friends for gifting or exchanging game-items you can check or join the Airport City: Free to Fly Add Me List. GameHunters.Club is a Fan Site and is not endorsed by or affiliated with Airport City: Free to Fly. All Trademarks are the property of respective owners. If you love this game, support it by purchasing premium items in the game or follow the official Airport City: Free to Fly social media channels. GameHunters.Club is a platform for gamers who loves to share. Join us and be the first to post here about Airport City: Free to Fly. There is no registration required. Login with Facebook to start posting. Join the Forum, Discuss anything about Airport City: Free to Fly. You can talk about tips, tricks, cheats, ask for help or simply introduce yourself to the club. These are the most recent topics and posts on Airport City: Free to Fly Forum. Do you know any of this topics? Help players by posting about this topics on Airport City: Free to Fly Game Post section. Do you want to be the first to learn all the Airport City news? Then add our page to your favorites on Facebook. Simply point at the follow button and then select "See First". All set! Now you won't miss any important info. Pilots, which would you choose: a camping trip🏕, or a vacation in an all-inclusive hotel? What's the best vacation option? Happy Easter Pilots! May the skies over your heads be blue and cloudless, and may your lives be filled with light and joy! How do you plan to spend the holiday? Special celebrations or traditions? Tell us in the comments! *egghunt* http://gigam.es/easter19... Remember pilots, you can activate the bonus only once! Oh my, a new contest! Pilots, create your own comic strip about Airport City and win a prize! Select one of the four template pictures with our characters here 1) https://bit.ly/cartoonone... 2) https://bit.ly/cartoontwo 3) https://bit.ly/cartoonthree 4) https://bit.ly/cartoonfour Come up with a dialogue between the characters and fill in the bubbles. Try to be original and show your sense of humor. Post your comic strip in the comments of this post before May 5. First place - 75 Airport Cash Second place - 50 Airport Cash Third place - 20 Airport Cash Fourth place - 20 Airport Cash Fifth place - 20 Airport Cash On May 7 we'll tally up the results and name the pilots who will get the sweet prizes. Remember, only English submissions will be considered for the contest.